Finance Ideas 4u: Can I Stop Foreclosure by Filing for Bankruptcy? The number of foreclosure filings in the United States has come down since 2011, but the data will still shock you as there were a total of 956,864 filings in 2016 and 203,108 home repossessions. The foreclosure rate as of June 2017 is 1 in every 1,789 homes, with the top states being New Jersey, Delaware, Maryland, Connecticut, and Florida. Thankfully, the other states are doing better, but are not without concerns. Take Arizona, for example. The foreclosure rate in Arizona is 1 in every 2,758 homes, which is better than the national average. However, the foreclosure rate in Arizona is up 20% over last year, even though nationally it is coming down, making this a cause for worry. What happens to your home if you are filing for Chapter 7 or Chapter 13 bankruptcy in Arizona because you might have also fallen behind on your mortgage payments? Will you be able to keep your home, or will the lender take it away? By understanding a little about bankruptcy help in Scottsdale and across the state, you can prevent home foreclosure. The court will issue an ‘order for relief’ automatically when you file for bankruptcy. Once you have the ‘automatic stay’, the creditors have no other option but to cease all collection activities immediately. 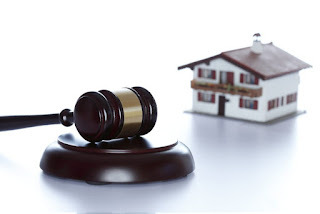 Even if your home is already scheduled for foreclosure, it is going to be legally postponed, usually for 3 to 4 months. This will give you the much needed time to make alternative arrangements, perhaps even to pay back the money. • The lender may get permission from the bankruptcy court to proceed with the sale. In this case, you may not have the full 3 to 4 months. But even then, you will be able to postpone the sale by 2 months at least. • The automatic stay order cannot help you if the foreclosure sale notice has already been issued. The lender can file a motion for lifting the stay and can ask the court for permission to schedule a sale. You Chapter 13 bankruptcy filing will let you pay the ‘arrearage’ or unpaid payments over a long time, sometimes up to 5 years. However, you need to be earning enough to make the current mortgage as well as the arrearage payments. You can avoid foreclosure if you are able to make these payments till the end of the repayment plan. Chapter 13 might also eliminate the payments on your 2nd or 3rd mortgage. You cannot cancel the foreclosure with Chapter 7 bankruptcy filing. But you will get an exemption from the tax liability on losses a lender incurs when you default. When you purchased the home, you had to sign two documents – a promissory note for repaying the loan, and a security agreement that can be recorded as a lien for enforcing performance on the promissory note. You can get rid of the personal liability with Chapter 7, but not the lien. Many of us work hard to make enough money to buy a home. But a lot of people fall behind on the mortgage and lose their home because of an economic downturn. Filing for bankruptcy provides a much-needed second chance. You will get the all-important time to find alternatives, structure a new payment plan and eventually save your home.